Arizona (6-7) has won five of six after a six-game losing streak left them 1-6. Kolb left the game after a blow to the head on Arizona’s third play. 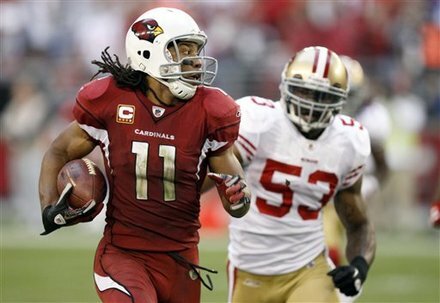 Skelton, benched after throwing three interceptions in the Cardinals’ 23-7 loss at San Francisco on Nov. 20, had a 60-yard TD pass to Doucet and a 3-yard toss to Andre Roberts for what proved to be the winning score early in the fourth quarter. Skelton was able to overcome two interceptions and a lost fumble in this one.